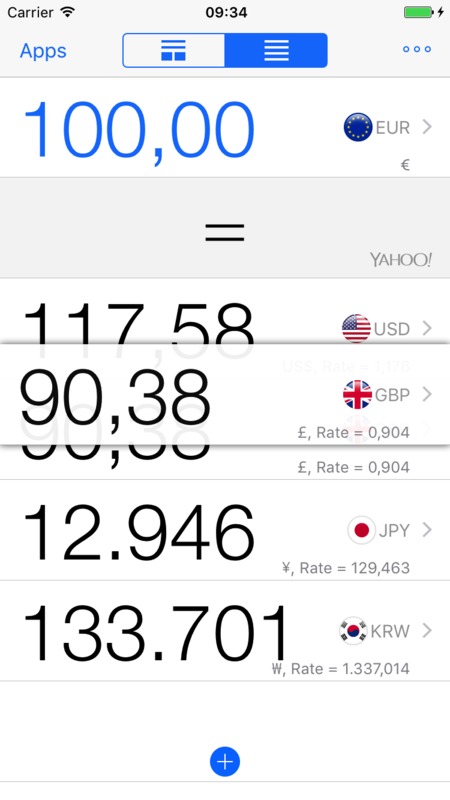 The currency converter on the AppBox Pro has two separate screens to convert the amount. The one with the currency picker that does the single conversion. You can change the currency by rolling the picker. The currency selector has two wheels one for the source and the other for the target. 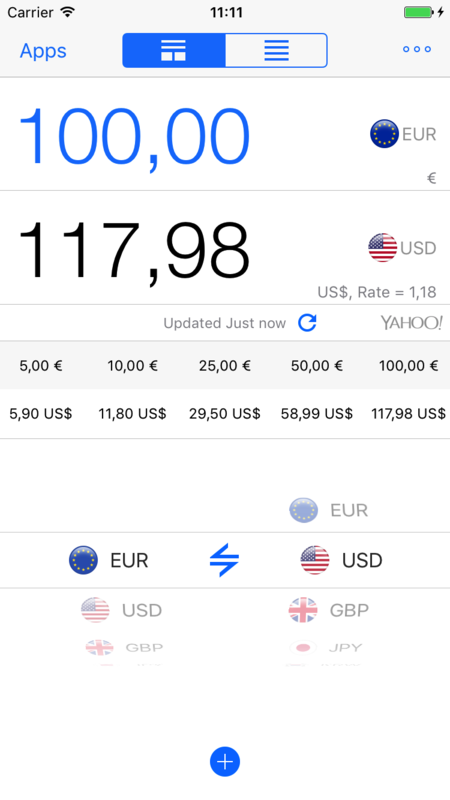 You would wonder how you can change the order of the currency list on the screen. You can alter the order of the list with the following steps. Switch the converter to the table style. It will convert to multiple currencies at once, and you can easily compare the results. 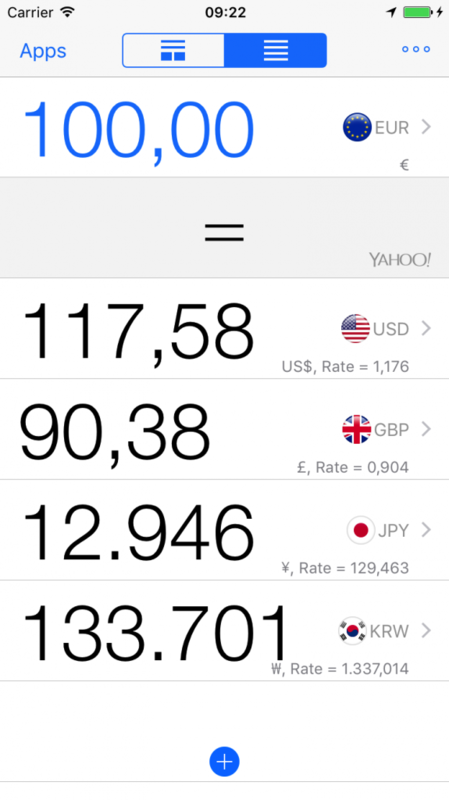 It has many hidden features like reordering by dragging or swapping and watch the currency rate history chart. Just tap and hold the GBP row and the screen will turn to like this. Then drag it up and down to change the order. You can even put it on the top of the list. We often encounter situations where we have to do the reverse calculation when doing the exchange rate calculation. So there is a swap button in the converter, and you can do it easily just tapping the button. 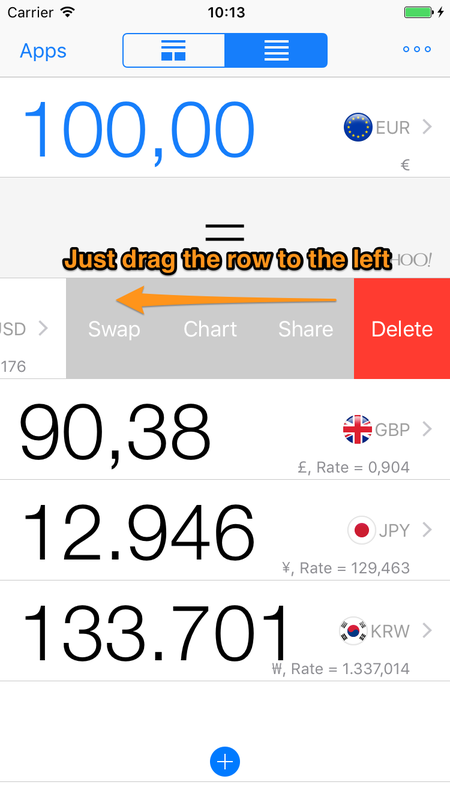 You can swap the currency even in the table converter. Swipe the USD row, and you can reveal the hidden menus. There is a swap button. Just tap the swap button, and you can swap the source and the target. Finally, there is the Chart button to show the historical rates chart. If you are interested in the currency conversion, you may have an interest in the historical graph. 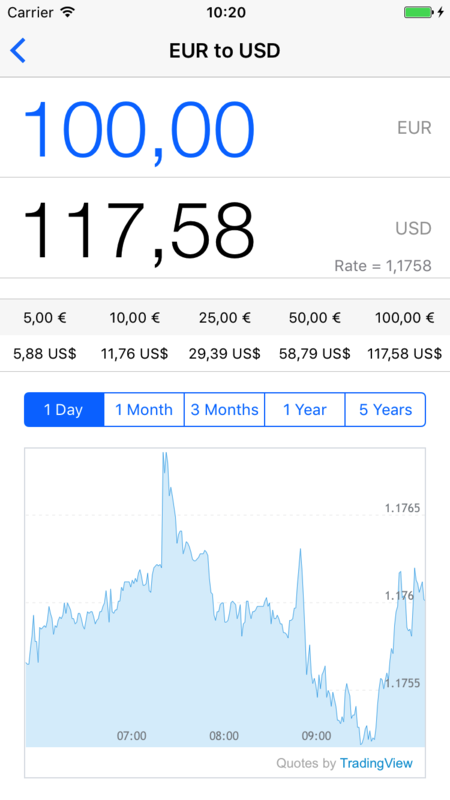 Just reveal the hidden menu and tap the Chart button and you can see the graph for five different periods like one day, one month, three months, one year and five years. Copyright © 2009-2016 AllAboutApps Inc. All rights reserved.